The handle on my bathroom faucet disconnects about every 12 months. In the past, I would not have thought twice about it as my husband would have repaired it. I have learned that it is not easy to fix. I have to clear out everything from underneath the sink, crawl inside the cabinet and grab the bottom of the faucet from beneath to reconnect the two pieces. The first time, my handyman fixed it. The next time, through some miracle, I fixed it. This most recent time, no matter what I do, I can not get the two pieces to come together so I can tighten the connection. My go-to for most everything is the Internet especially You Tube. So, I spent several hours reading and watching videos about how to repair a faucet. The first issue was finding the correct video as there were so many about plumbing repairs but none that addressed my specific problem. 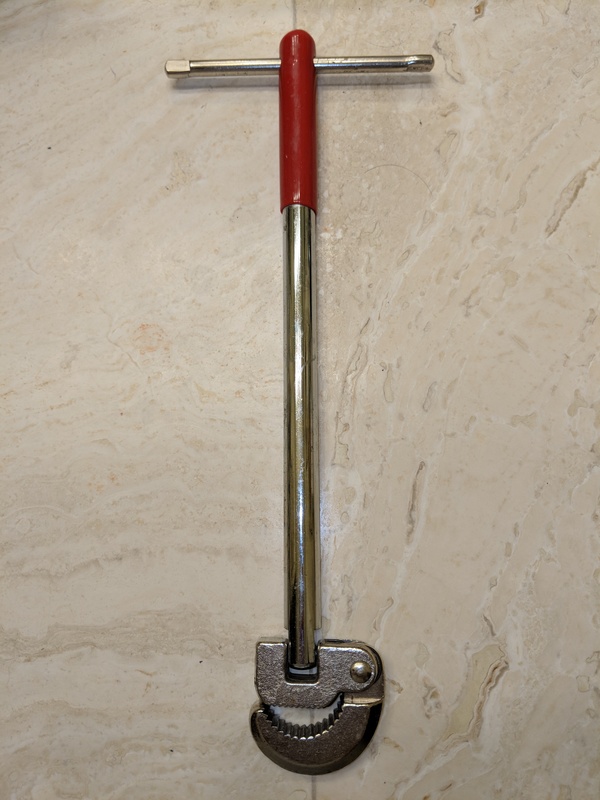 I finally found one that recommended using a basin wrench. Ah! The right tool for the job. I headed to Ace Hardware. John, my guru for home repairs, was busy with another customer. So I settled for the bright-eyed, enthusiastic young man who came down the aisle. He was clueless when I asked for a basin wrench. Fortunately, a more knowledgeable and older salesperson walked by so I asked him. He knew exactly what I needed and why I needed it. He gave me some tips on how to use it. Now I just need to push the thingy down so I can use my new basin wrench to attach the two pieces. I hope I can do it! I wish I had taken a shop class! I like being able to fix small things around my house. It is difficult because I have almost no experience or knowledge. I don’t even know the names for the parts. So, I read articles, watch instructional videos, and discuss the situation with the Ace Hardware guys. I take pictures on my phone of the “thingy” or “gizmo” to show the patient salesmen at Ace Hardware. So far, my house is still standing and most things are working as intended! I am slowly compiling a manual on simple repairs. Home repairs are challenging but fun when they work out! Posted on September 18, 2018 September 17, 2018 by lorigreerPosted in Living Everyday, UncategorizedTagged Ace Hardware, Basin Wrench, DIY, Home Maintenance, Home Repairs, Lori Greer, Lori Greer in Portland, You Tube.